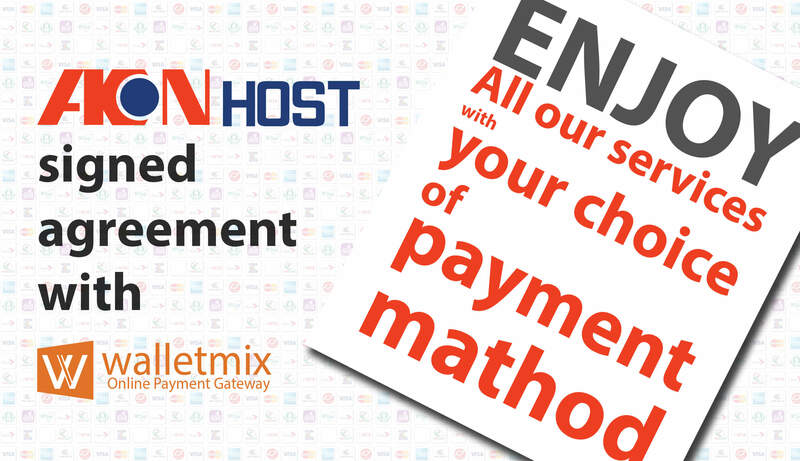 We are feeling very excited to inform you that, Bangladesh’s one of the top class domain registration and web hosting provider company AkonHost and country’s largest online payment gateway provider company WALLETMIX Limited has signed an agreement today. From now on you can enjoy all the services of Akonhost by paying from any where of the country and abroad using Bangladeshi all available payment system. Not only that, you can also pay us through Islamic Bank’s Internet Banking. Or you can pay using your international debit or credit card. For more and recent information and updates please like our facebook page.